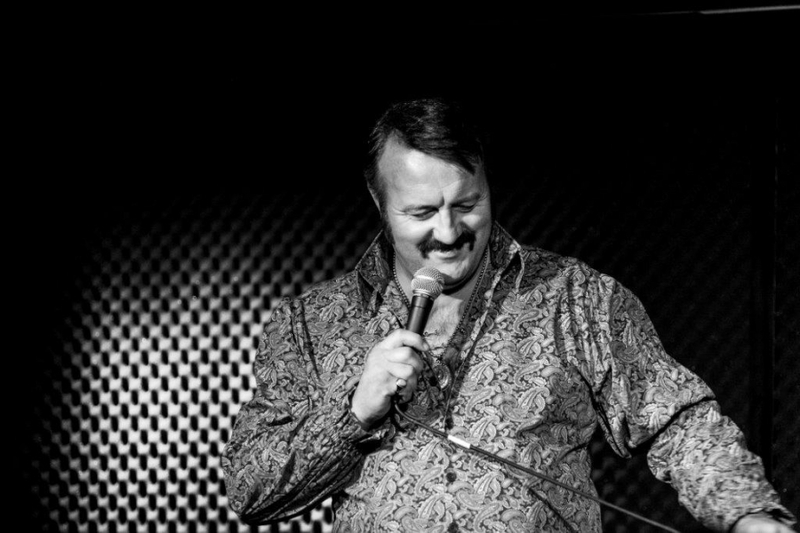 Mike is an established headliner on the UK comedy circuit, regularly gigging up and down the country. He has performed on the comedy stage at many of the country’s major festivals, including Leeds, Reading, V, Green Man and The Edinburgh Fringe. He has written and toured two critically acclaimed solo comedy shows about two of the loves of his life; his ode to Elvis ‘The King and I’, and his ode to the 1970s ‘Retrosexual Male’. He is an accomplished radio writer and performer. As well as being a regular guest host and presenter on various BBC Radio Wales programmes, he has also appeared in productions as diverse as ‘Kafka’s Metamorphosis’, ‘To Hull and Back’, and ‘Under The Stars’, on BBC Radio 4, Radio 5’s ‘Blood on the Tracks’ and ‘Fighting Talk’ and has written, and starred in BBC Wales’ ‘Mike Bubbins: Daytripper’ and ‘Two Men One Job’. In addition to these he is co-creator and star of BBC Radio Wales hit paranormal comedy, now beginning it’s fifth series, ‘The Unexplainers’. On television Mike is probably currently best known as the co-star of BBC Wales’ hit comedy series ‘Tourist Trap’, playing the part of Wyn, the self-styled ‘Mr Wales’. Mike has also acted in comedies such as BBC 1’s ‘Warren’, BBC 2’s ‘Josh’, Dave’s ‘Ultimate Worrier’ and ‘Eat your Heart Out’, and BBC NI’s ‘Soft Border Patrol’. Putting his ex-sportsman hat on, Mike is also a regular contributor on BBC Wales’ ‘Six Nations Special’ and ‘Scrum V’. Early 2019 will see Mike and co-star John Rutledge bring ‘The Unexplainers’ from radio to the TV screen for the first time, following a series commission by the BBC earlier this year. Lastly, and while he may be blowing his own trumpet, Mike’s pretty sure he’s the only comedy performer, writer & actor in the world who as well as being an ex-professional rugby player, coach and PE teacher has also been a finalist in the European Elvis Tribute Act Championship. Honestly.